I am such a picky person when it comes to cleaning. I always have been! It's funny because until I had started learning about all the ingredients and factors that go into keeping cleaning products eco-friendly, I actually purchased my products sometimes specifically for their strength. It's one of those factors I miss in using eco-cleaners, the power and strength. So when I was asked to review the product Genesis 950, I wanted to give it a try. "Genesis 950 is a green, surfactant based cleaner that works with water to break the bonds of stains and lift them from the surface. 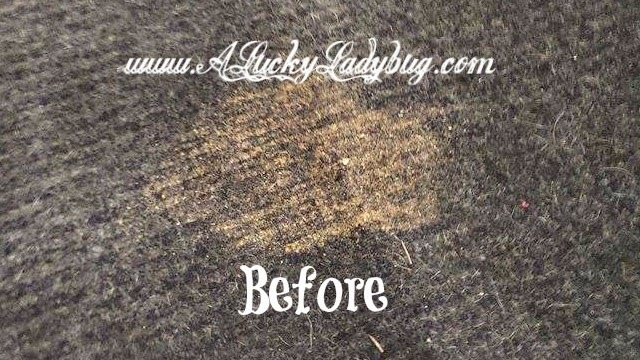 Rather than attack stains with harsh toxins and chemicals, it alters the molecular structure of a stain to lift it." So that being said could I have my cake and eat it too (or well clean up after)?! My biggest concern was reading up on the cleaner to make sure it was safe for my household, then I could put it to the test. Genesis 950 started over 20 years ago as an industrial ink cleaner and worked quite well on such a harsh stain. It worked so well and was quite safe even back then that it has since developed into a multipurpose cleaner reducing the need for tons of chemicals in your house (and the packaging they come in). Genesis 950 has low VOC levels in its concentrate form, is biodegradable, and still tough on the worst cleaning jobs. I was able to test this on a few messes in my house in just the last two weeks. The first being my "sensitive stomach" dog who gets sick whenever he eats anything other than his normal dog food. As luck would have it for me we had a pretty disgusting diarrhea mess to clean up in the dog room. 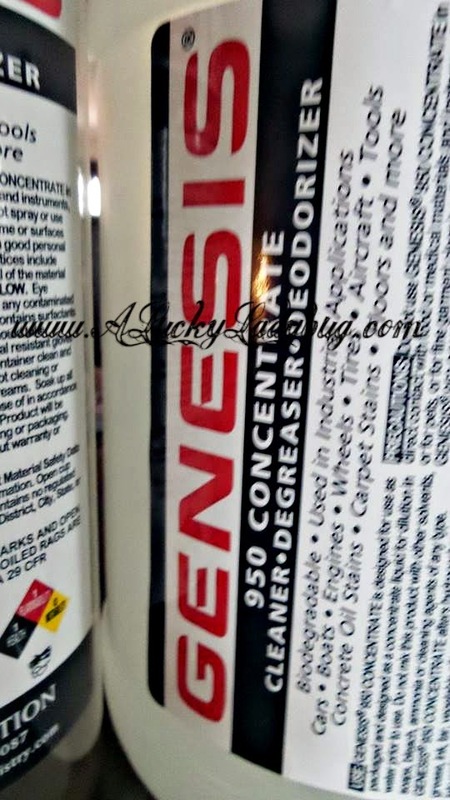 I used Genesis 950 to both scrub this clean and get rid of the nasty smell. 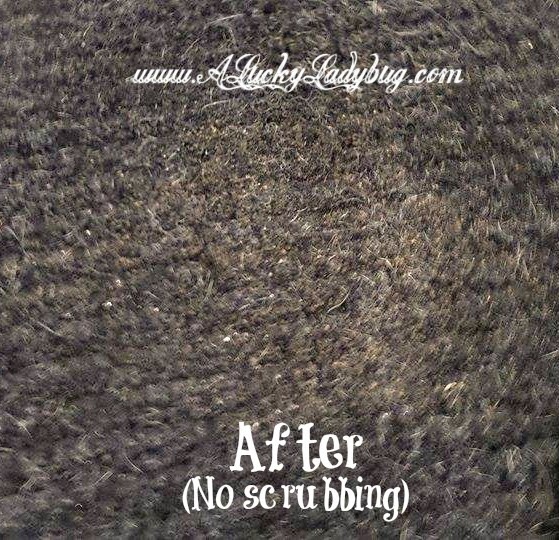 While it worked immediately on the smell, it took some serious scrubbing to get it clean because of the grooves in the carpet in their room. Next I tested this on our back deck where we were about to re-paint. Besides the normal dirt and dust on a deck, we had some um, chicken poop after I took the baby chicks out the other day to play outside. Unfortunately I forgot to go back out and clean it after I brought them in so it baked into the deck wood. I sprayed Genesis 950 and it wiped right away in seconds! I also used this to clean out a mildew filled fridge that had been sitting in our garage for months since we moved. The mold wiped clean and the fridge smelled great! I love how easy this is to use and on multiple projects! I feel like this is going to be a cleaner that is going to come in use for tons of Spring/Summer projects at the new house. Recommendation: To be honest this seems quite expensive but not when you think about all the other products it is replacing. Plus this is a concentrate and most of the uses call for mixing it with water. While I will definitely be purchasing this in the future, I'd still like to see it a bit cheaper so those who aren't sure can find it affordable to try. Giveaway: Genesis 950 is going to give one of A Lucky Ladybug's lucky readers a Full Gallon of Genesis 950 to try of their own! I would love to try the Genesis 950 cleaner. I have been wanting to use a cleaner that is safer for my family and this sounds like it is just that. thanks for the review and giveaway. I am in flavor of only using natural and green products. I would love to try the "Genesis 950" to help remove mold and mildew stains from my patio. It would be worth a try. I would also like to use this on my vinyl siding to clean it. 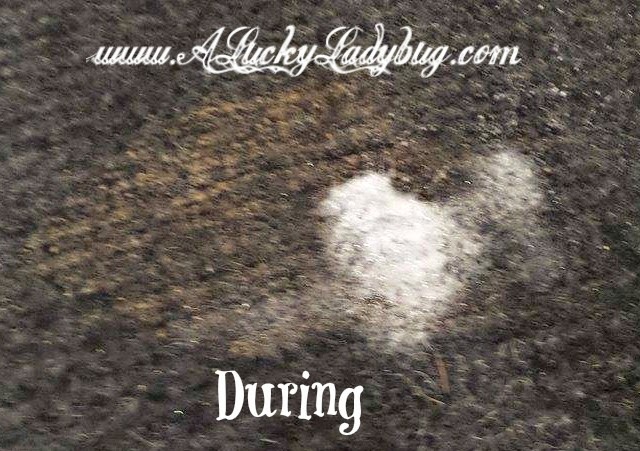 It actually works great in a powerwasher for siding :) AND because it's green, it will not harm your grass or plants! I'm thinking about replacing my front lawn with rocks to use less water. We have such a drought out here in CA. I would love to give Genesis 950 a try! I have a Christmas miracle of a niece who will be crawling soon enough and I can't imagine her crawling on my floors. I had gotten a puppy awhile ago and now I've got lingering mess spots along with the smell that is embarrassing to even have company come over. The vinager and baking soda trick hasn't worked and neither does the bissel pet cleaners in my rug shampooer. My hubby also has emphysema/COPD so using harsh chemicals is a big issue as it means sending him off to go fishing for the day (ha! like he hates that aspect of my cleaning!). I would love to do some before and after pictures ! I have used Genesis 950 and need a new supply. the little wiener dog likes to go on the carpet. It definitely removes the odor and the stains. I've recommended it to my friends! Genesis 950 is the best product I have come across to clean my carpet. YAY!!! We are so happy to hear the kind words. Thanks so much for taking the time to share this!